We’re hoping for a big turnout of volunteers, like our wonderful group from last year. It’s satisfying and fun, See you there! 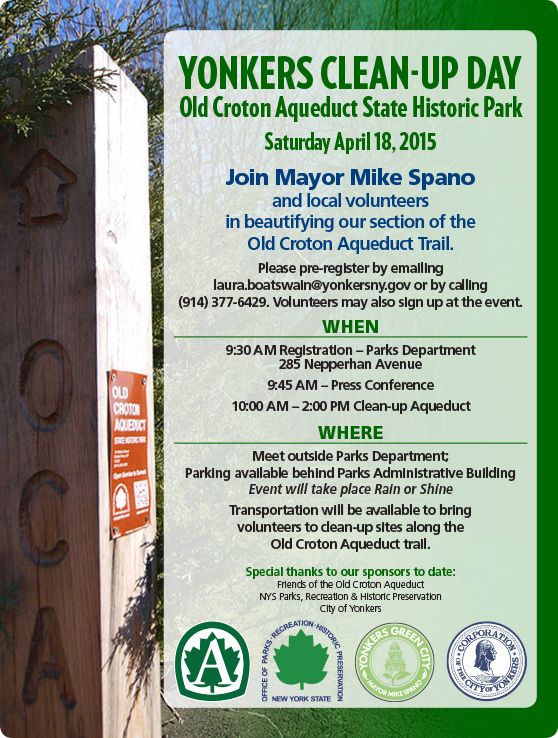 Join Mayor Mike Spano and local volunteers in beautifying our section of the Old Croton Aqueduct Trail. Please pre-register by emailing laura.boatswain@yonkersny.gov or by calling (914) 377-6429. Volunteers may also sign up at the event. Transportation will be available to bring volunteers to clean-up sites along the Old Croton Aqueduct trail.